Lemon balm tea, or Melissa tea, is a popular natural remedy in Europe and other nations across the globe. This tea boasts a mild, smooth flavor with hints of lemon and mint. The delicious flavor is complemented by extensive health benefits that make this tea a go-to for curing ailments. Lemon balm tea doesn't have many side effects and is easy to brew using fresh leaves from your own garden. 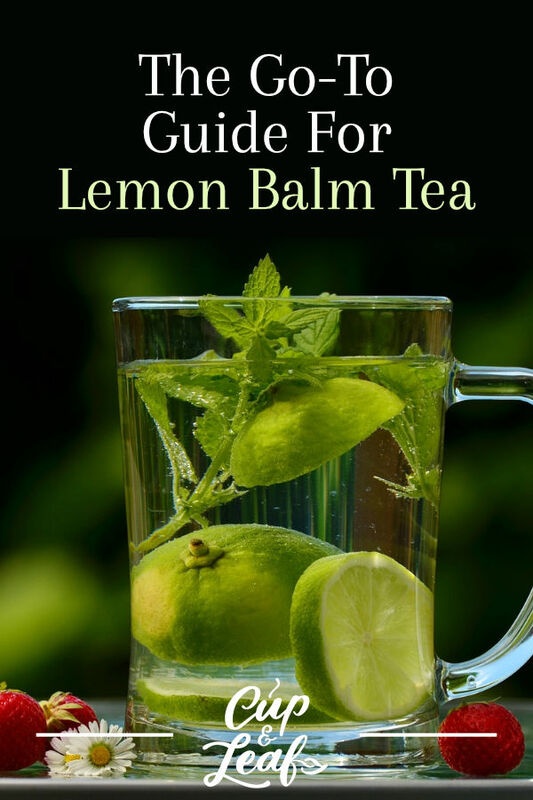 Discover the health benefits, side effects, and proper brewing techniques of lemon balm tea with this ultimate guide. Lemon balm tea comes from the leaves of the lemon balm plant known by the botanical name Melissa officinalis. The lemon balm plant belongs to the mint family and is popularly called balm mint or common balm. The plant is native to southern Europe along the Mediterranean, the Middle East, and Asia. Today, it is commonly grown in North and South America where it is a popular garden plant. The leaves of the lemon balm plant are frequently used to make herbal medicines. The tea has historically been used to treat digestive disorders and to alleviate pain including menstrual cramps and headaches. 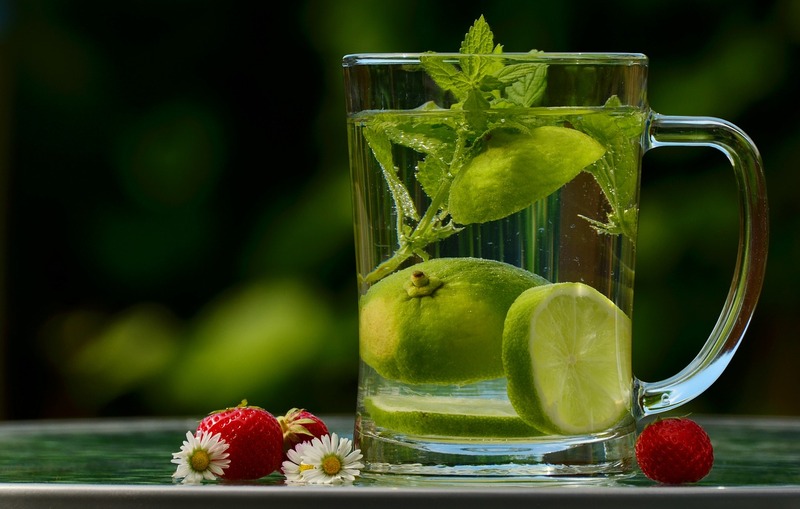 Lemon balm tea also offers a mild calming effect, making this beverage a good choice for people who suffer from sleep disorders or are looking for a bedtime tea. Looking for another delicious herbal tea with lemony notes? 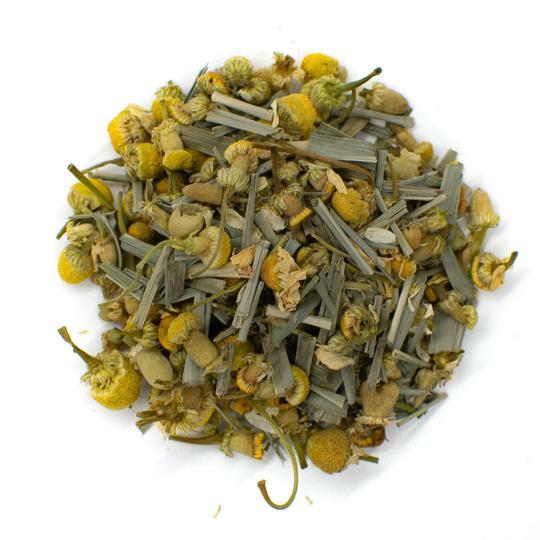 Try our Chamomile Lemongrass Tea. Lemon balm tea is frequently sold as Melissa tea. The beverage and plant leaves derive their name from the Greek word meaning 'honey'. Lemon balm tea boasts a slightly sweet flavor with a hint of lemon. The tart and sweet combination lends a unique flavor while an herbal aroma rounds out the tasting profile. The gentle, lemony mint flavor pairs well with honey and a slice of lemon. The calming effect of lemon balm tea can help lower stress levels after even the toughest days. 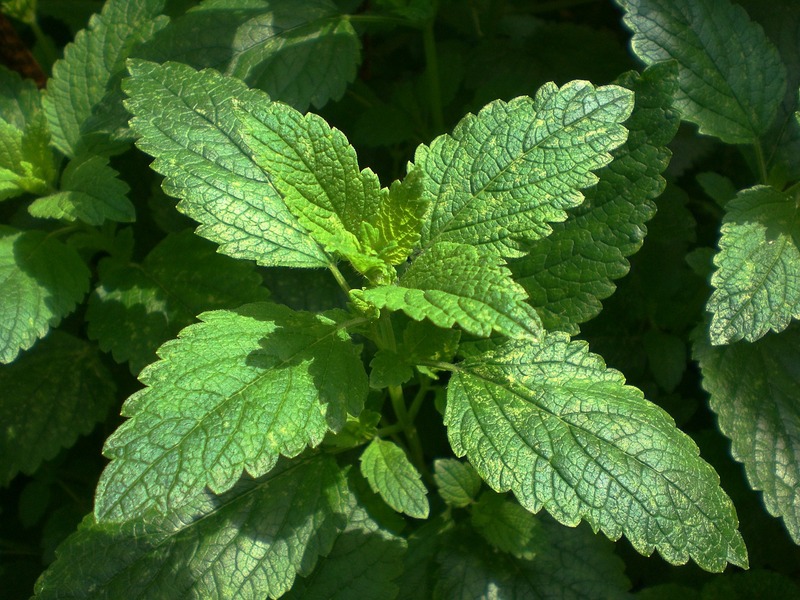 In fact, the lemon balm leaves are used in anti-anxiety medications such as Cyracos, which is sold by Naturex (1). A study published in the Indian Journal of Pharmacology found that lemon balm extract was particularly effective in alleviating stress. The researchers gave female and male rats Melissa extract in various doses for a period of ten days. Scientists found that the lemon balm was more effective in female rats than males, although both demonstrated lower levels of anxiety at the end of the study (2). 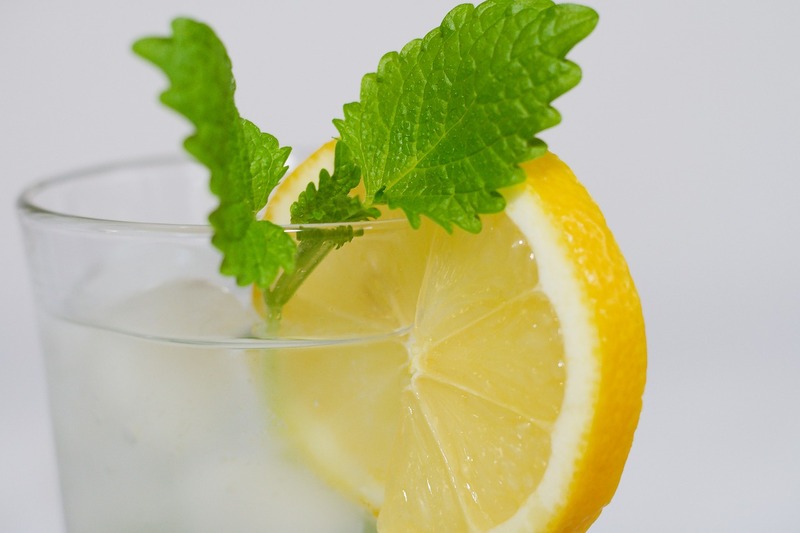 Another study published in Nutrients, found that lemon balm beverages such as tea helped to improve mood and cognitive function. The study was established as a double-blind, placebo-controlled, crossover study. Researchers found that participants who consumed lemon balm tea demonstrated significantly lower anxiety levels one hour and three hours after consumption of lemon balm tea (3). Lemon balm tea may improve the symptoms of insomnia and other sleep disorders thanks to its soothing aroma. Information from the University of Michigan shows two studies that demonstrate the effectiveness of lemon balm on sleep health. A clinical trial found that lemon balm improved sleep quality by altering chemicals in the nervous system (4). 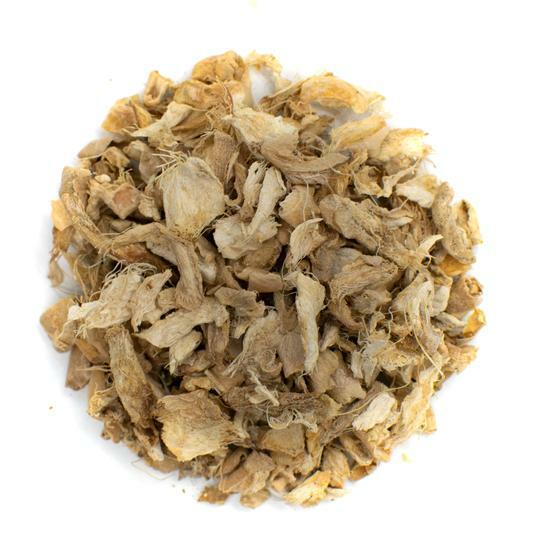 One study showed that a combination of lemon balm and valerian root was just as effective as the sleep disorder drug Halcion. In addition, the participants who consumed the herbal remedy did not suffer from the hangover side effects exhibited by the participants who took Halcion. Lemon balm tea has been shown to improve mental cognition and may alleviate some symptoms of serious neurological diseases. Lemon balm tea may improve symptoms during the early stages of Alzheimer's disease when consumed regularly. While lemon balm tea can't cure Alzheimer's it may make the disease more manageable. Seek medical advice form your doctor before using lemon balm tea as a neurological aid. A study published in Research in Pharmaceutical Sciences found that lemon balm displays cholinergic properties—meaning it acts as a neurotransmitter. Alzheimer's disease patients often have damaged cholinergic neurons, which cause symptoms of forgetfulness and leads to the onset of dementia. Researchers found that regular consumption of lemon balm increased memory recall and offers therapeutic value to Alzheimer's patients (5). Lemon balm has been historically used to treat colic in infants. Today, many herbal remedies combine lemon balm, German chamomile, and fennel to reduce discomfort in infants caused by colic. These remedies help to decrease crying time and when used consistently may even cure the colic entirely. Lemon balm tea may also help to alleviate common digestive system ailments including upset stomach, cramps, and gastric ulcers. A study published in the Iranian Red Crescent Medical Journal found lemon balm was effective in preventing the development of new stomach ulcers (6). 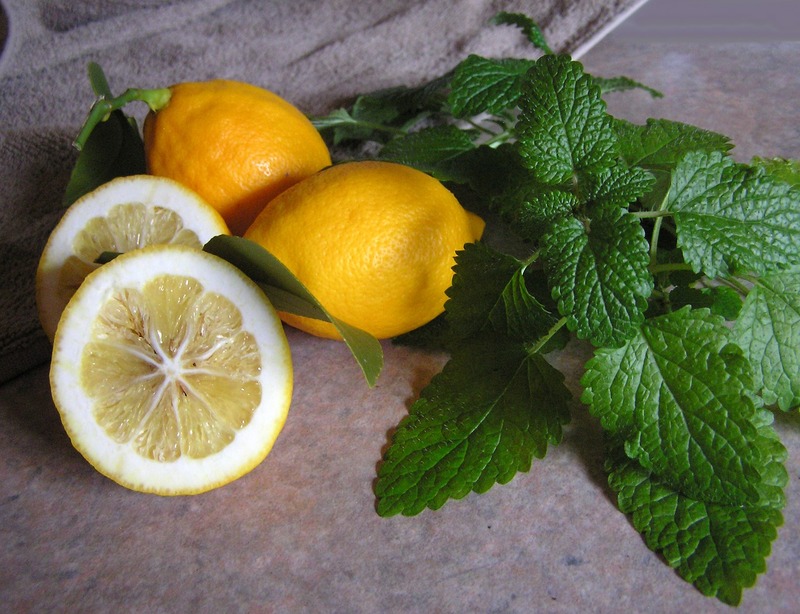 Additional research found that lemon balm helped to decrease symptoms of nausea (7). Lemon balm tea helps speed up the healing time and minimizes symptoms of the herpes simplex virus. Lemon balm can also be used topically as a cream or as lemon balm essential oil to reduce itching and burning. The tannins and polyphenols in lemon balm are particularly effective in treating cold sores associated with the disease. One study published in Phytotherapy Research found that both Melissa extract and rosmarinic acid inhibited new herpes virus outbreaks—including those that are resistant to standard treatments. Researchers found that Melissa extract inhibited the penetration of 80-96 percent of herpes virus strains (8). Lemon balm tea may help protect overall heart health. Research published in the Journal of Nutrition found that lemon balm tea can reduce triglycerides and improve the synthesis of cholesterol. Frequent consumption of lemon balm tea may help to reduce bad LDL cholesterol and lower blood pressure (9). Additional research shows lemon balm tea can help suppress arrhythmias—a condition when the heart beats at irregular intervals (10). These benefits are likely attributed to the anti-inflammatory and soothing properties of lemon balm tea. Lemon balm tea is generally safe for consumption when consumed in small to moderate quantities. As with many teas and herbal remedies, lemon balm tea may cause adverse reactions in certain individuals. Here are a few things to watch out for if you're looking to try lemon balm tea. Lemon balm tea may cause allergic reactions in individuals who are sensitive to plants in the mint family. Don't drink lemon balm tea if you have allergies to the live plant. Talk to your healthcare provider before using lemon balm tea when pregnant or breastfeeding. Research hasn't shown any negative side effects to date in terms of pregnancy, but it's best to err on the side of caution, as studies are still ongoing. Lemon balm tea may interfere with certain diabetes medications since it naturally lowers blood sugar levels. Monitor your blood sugar closely and look for signs of low blood sugar. Stop use immediately and contact a healthcare professional if you experience any negative side effects while consuming lemon balm tea. Lemon balm tea may also interfere with medications after surgery since it causes mild drowsiness. Stop consuming lemon balm tea two weeks before any surgical procedures to avoid negative side effects. You should not drink lemon balm tea if you are taking thyroid medications or have a thyroid problem. Lemon balm tea may alter thyroid hormone levels and interfere with thyroid therapies. Always consult with your doctor before using any natural remedies including Melissa tea. Lemon balm tea can be made using dried or fresh leaves from plants in your own garden. 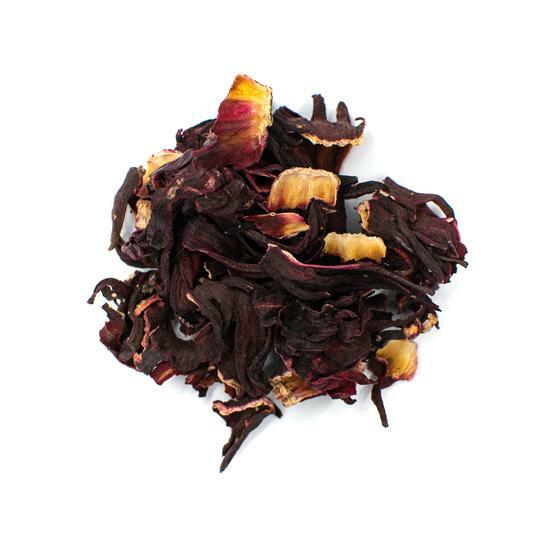 You can also find this tea in tea bag and loose leaf form from many tea producers. 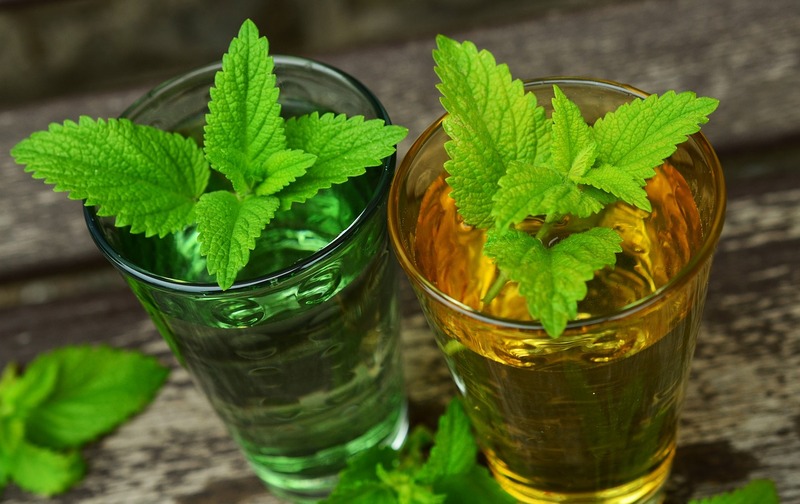 If you want to make lemon balm tea using leaves in your garden, make sure to cultivate plants away from major roadways and other potential pollutants. Grow your organic lemon balm plants without the use of pesticides and fertilizers for the best flavor and to maximize benefits for your health. 1. Place dried or fresh leaves into a tea strainer like our bamboo tea strainer. Set in a large tea cup. 2. Heat water in a tea kettle to 212 F or bring to a rapid boil in a pan on the stove top. Pour the water into the tea cup. 3. Steep the lemon balm tea for 5 to 10 minutes. The longer the leaves steep, the stronger the flavor will be. Remove the tea strainer and discard the leaves. 4. Add sweeteners if desired and enjoy! Lemon balm tea boasts antiviral properties that can help boost your immune system and fend off infections. Taking lemon balm tea regularly may help improve mental cognition and can increase sleep quality. The lemon balm leaf is one of the most popular medicinal plants and can also be used to treat anxiety and prevent heart disease. 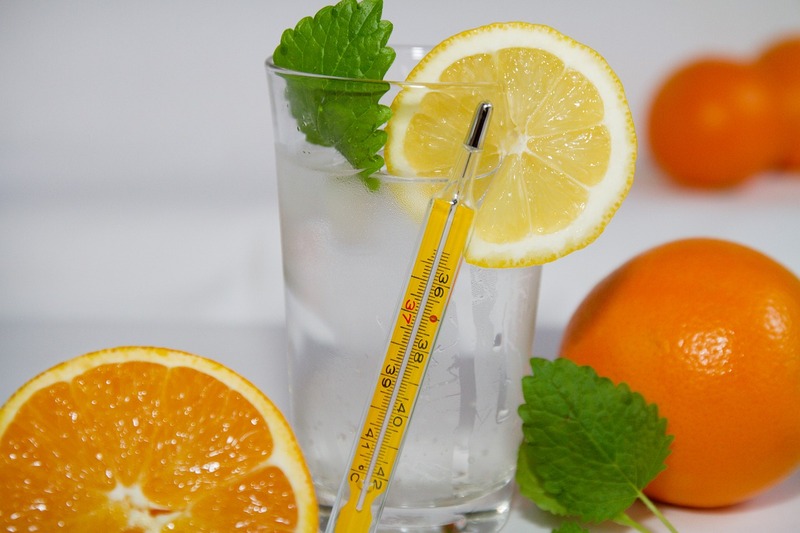 Warm up with this beverage in the fall or sip it all year long to improve your overall health. The mild, lemony mint flavor with tingle your taste buds and the soothing aroma can help calm you down after a long day at the office.